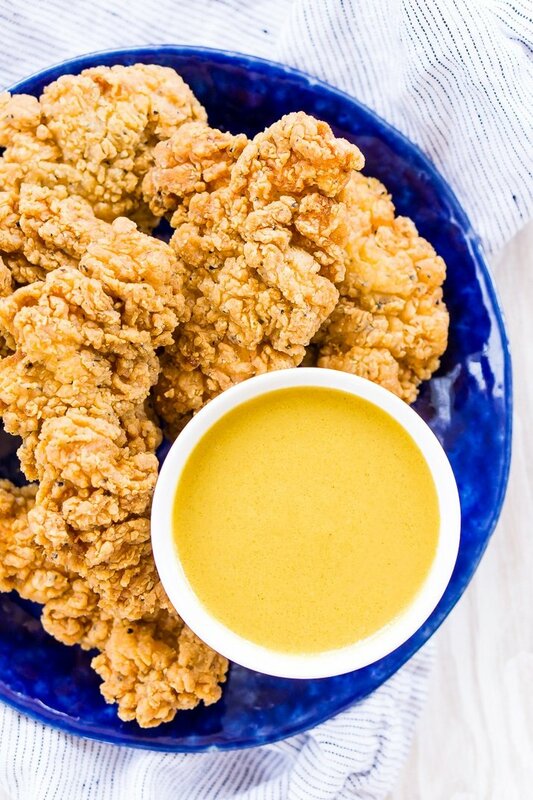 Maple Mustard Sauce is a twist on honey mustard that’s made with just 3 ingredients you probably already have, use it on chicken, sandwiches, and more! Can you believe it’s already August? Like, what the heck happened to summer? And while I’m not quite ready to trade my wine slushies in for hot chocolate, I am ready to start working some fall flavors into the mix. Don’t worry, no pumpkin, YET! I think one of the most overlooked fall flavors is maple, in my opinion, I wanted something maple flavored far more than something pumpkin or apple… I’m looking at you, Starbucks! Last year we eased into fall with my Maple Lemonade and this year we’re giving another classic a maple twist too! 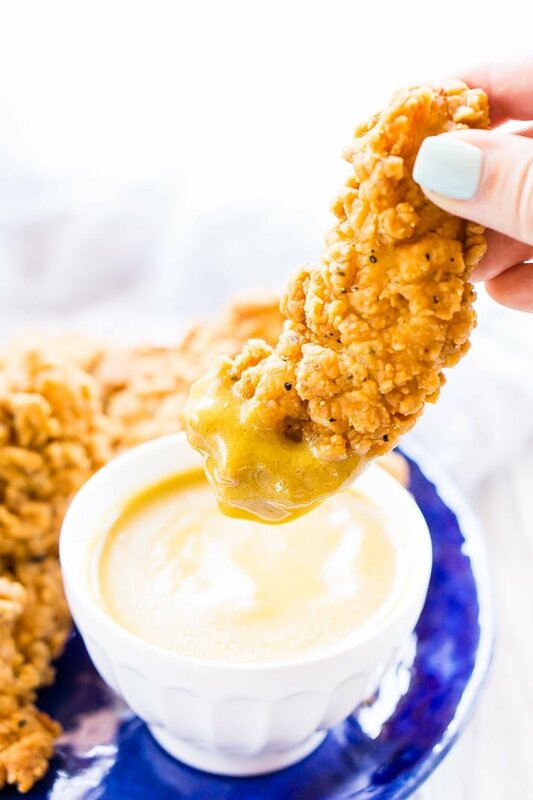 Instead of traditional honey mustard sauce, why not a delicious and tantalizing mix of tangy and sweet in a Maple Mustard Sauce! 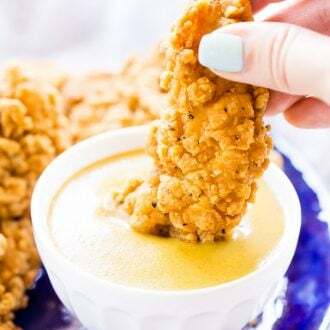 Some of you might even love this Maple Mustard Sauce more than the honey version, it still has everything you love about the sweet and sour combo, but with cozier notes that are perfect for dunking chicken fingers, topping burgers, and so much more! 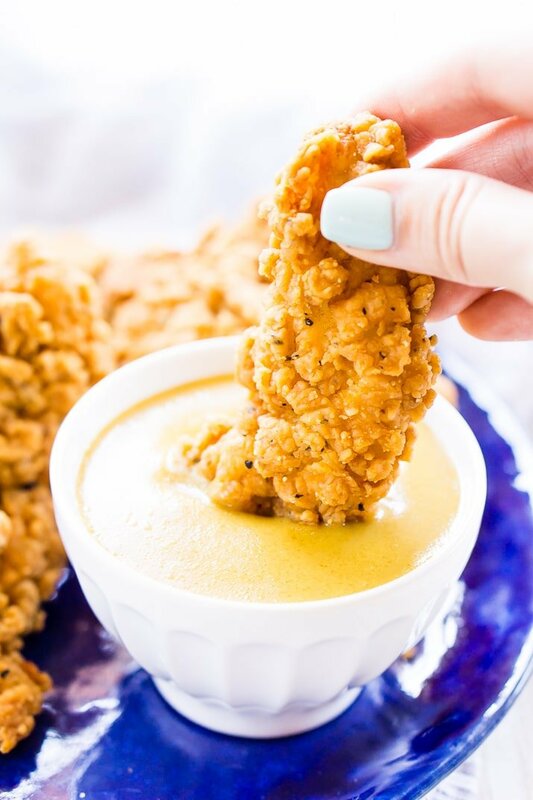 Buy My favorite Sauce Storage Containers Now! 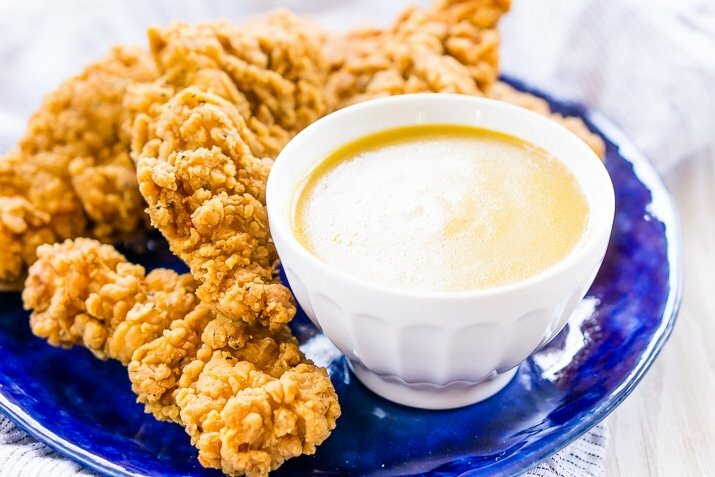 This Maple Mustard Sauce is made with just three ingredients, all of which are likely in your pantry right this moment! You can use whatever maple syrup you desire, but you will get a stronger flavor with 100% pure maple syrup. Once it’s made, it will usually last about 1 to 2 weeks in the fridge in an air-tight container. And you don’t need any special equipment to make it, just a bowl and a spoon and measuring cups, simple as that! Buy 100% Pure Maple Syrup Now! Enjoy immediately or store in an air-tight container in the fridge for up to 2 weeks. I made this yesterday! So good! !